I recently quilted a lovely applique quilt made from a pattern called the "Greenhouse Quilt", featured in Annie Smith's Ultimate Applique Guidebook. 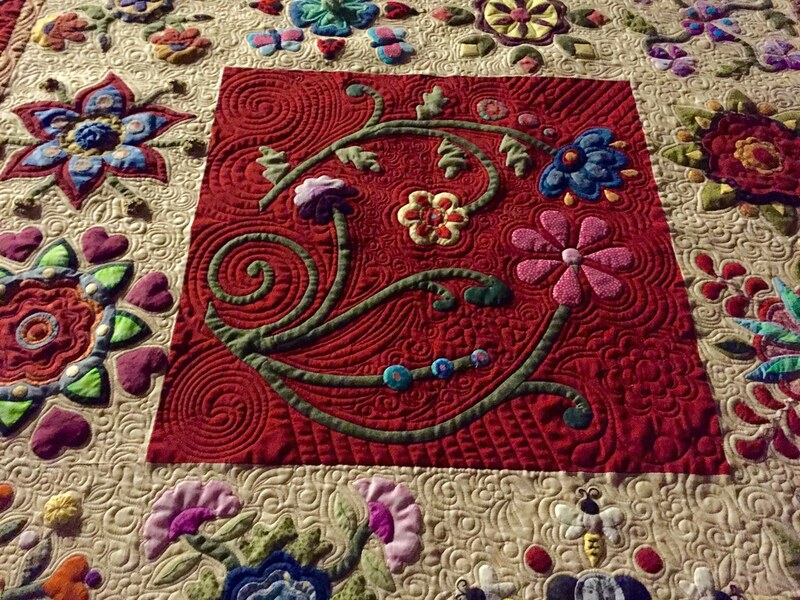 The talented woman who made this quilt used blocks from a study group block exchange. 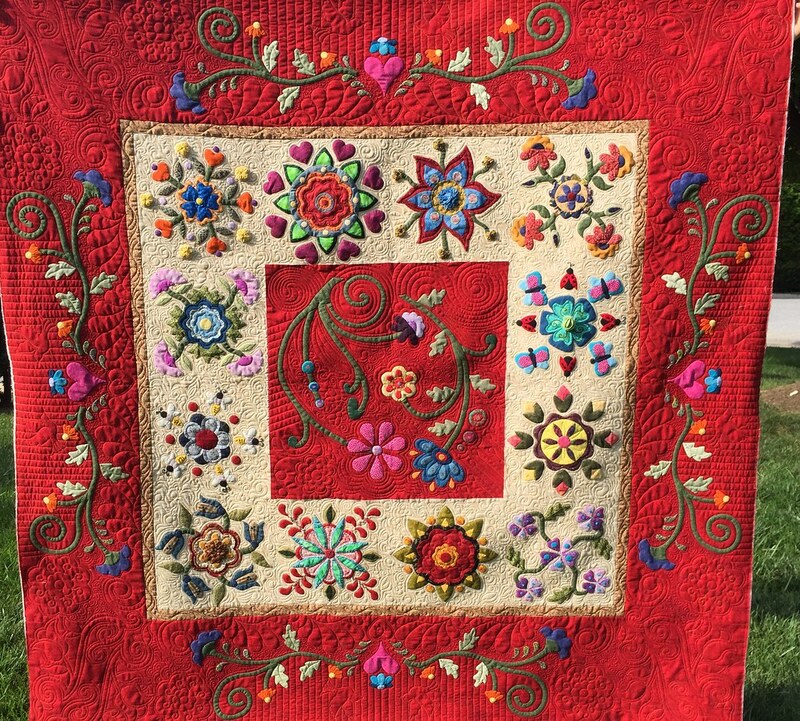 Don't you just love the bright red background fabric which she used with these very contemporary applique patterns! The hand applique and embellishment techniques featured on this quilt are extraordinary. Many ask me about the process I use to quilt such a lovely applique quilt. 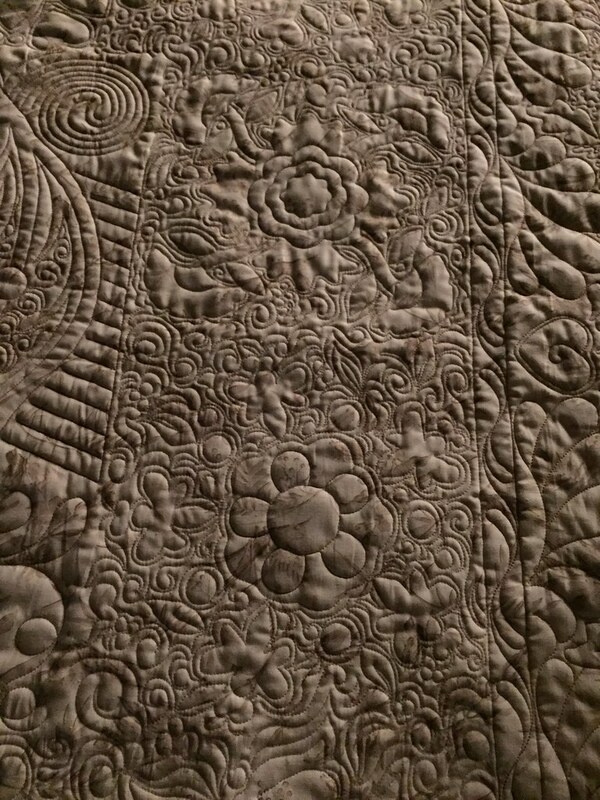 Let me start by saying that a quilt which demonstrates this level of work and skill definitely deserves heirloom quilting. Although this is a tremendous amount of work, it represents a labor of love for me. I start by taking cues from the fabrics and patterns. While I am closely examining the quilt I stitch around each and every applique using a fine thread that matches the background fabric. I also complete any "stitch in the ditch" work at this time, so that the quilt is entirely stabilized before starting any motif or fill work. The majority of the quilting is done using hand guided techniques, although I do use the computer to set the major design elements at this time, around which I later hand guide the fill and echo work. Last I complete any detail stitching required for the appliques. If you have large appliques and a lot of dense quilting around them, you must do some detail stitching directly on the appliques to keep them from looking puffy or ballooning out. I use many different colors of thread when I am completing this detail work. 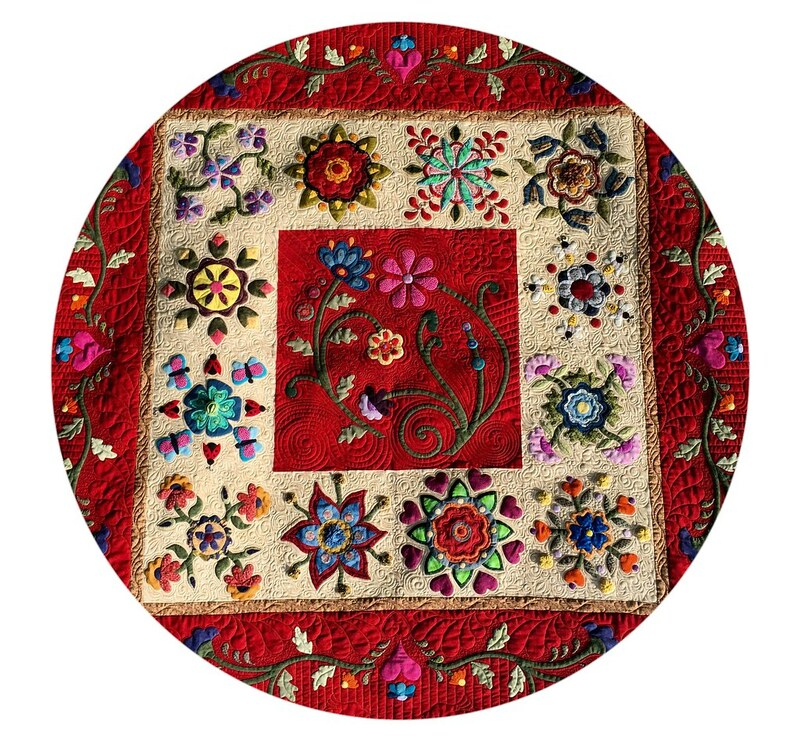 I am lucky to live in an area where there are many talented applique quilters, and where the inspiration runs deep due to the long tradition of applique in Baltimore Album Quilts. I feel blessed to be able to quilt such beautiful quilts and hope they are enjoyed not only today, but also for generations to come.